Paging Solutions - Advance Communications & Consulting, Inc. Allows delivery of emergency messages or non-emergency informational announcements. The system can alert everyone or an isolated group to an emergency that is imminent or in progress and instruct them on how to respond. Notification can be provided through overhead speakers, horns, voice/visual alerting, digital displays, telephone alerts and computer pop-ups. Allows users to develop and program multiple schedules to maintain efficient scheduling, as well as synchronize all clocks by one zone. Improves productivity, personnel efficiency & increases safety and security. Allows a user to reply hands-free to a page or even initiate a hands-free conversation with the push of a button. Summons help with the simple push of a button for improved safety and security such as parking garages, parking lots, common areas, walkways and pathways. 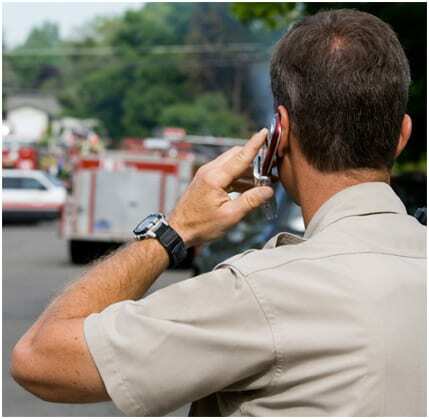 Calls can be directed to the most appropriate point for optimum response time.